Clever Bulletin: Why Didn’t We Know the Russian Meteor Was Coming? 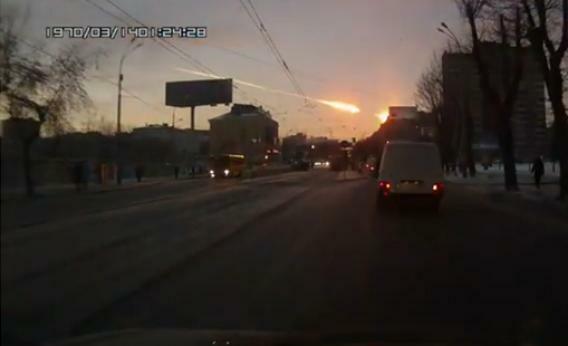 Could anyone have seen the meteoroid coming near the city of Chelyabinsk in western Siberia? Astronomers' most powerful telescopes, because they tend to have narrower fields of view, are poorly suited to the task of scanning the sky for danger. Normal, small telescopes—Spacewatch uses 0.9 meter and 1.8 meter telescopes—can do the job reasonably well, so long as they are coupled with capable detectors and software for automated scanning of the sky. From 1985 to 2009, Spacewatch discovered just under 2,500 PHAs. The number they found increased dramatically as the technologies they relied upon—electronic detectors and computer software improved in the late 1990s.